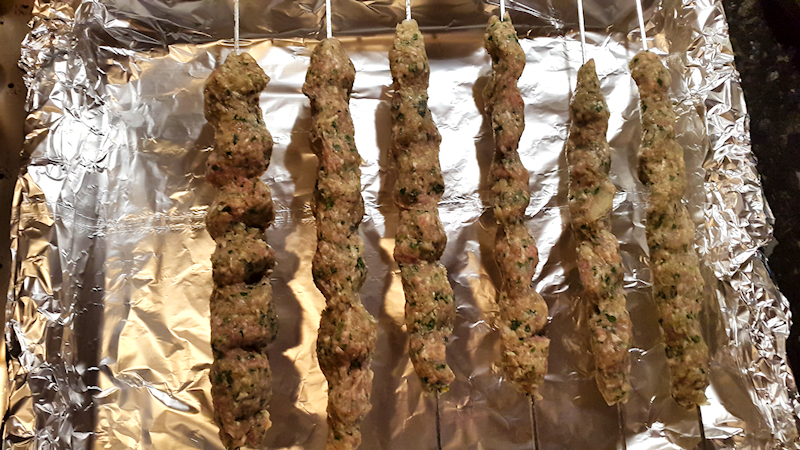 A recipe for home-made lamb kofta kabobs (kebab) in the oven. It’s very simple and you don’t have to go to your local eastern restaurant to enjoy them. There are a few things that is difficult to replicate at home as they taste much better in a restaurant. Take for example pizza. You don’t have a wood fired oven for cooking and your recipe for making your pizza base is not perfect. So, you simply enjoy your pizza in a nice Italian restaurant. Another example is grilled meat. 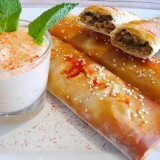 Especially these eastern lamb-based aromatic creations that you love to eat in your local Turkish or middle-eastern restaurant. It’s not just the nicely grilled meat. You can achieve that in your barbecue. It’s rather the combination of herbs and spices that make kabobs unique. What do they put in there that makes them so delicious? Can I do it at home? Well, you can try. Even though you need a nice charcoal grill to get the same results, I guarantee you that you will impressed with the taste of home-made kabobs in the oven. This time we are not talking about chicken kabobs or lamb gyros in the oven. I tried to make my favorite lamb kofta kabobs. The use of mince meat give them the texture of the burger. At the same time, you can add all the nice herbs and spices to give that special aroma, which is difficult to achieve with shish kabobs. 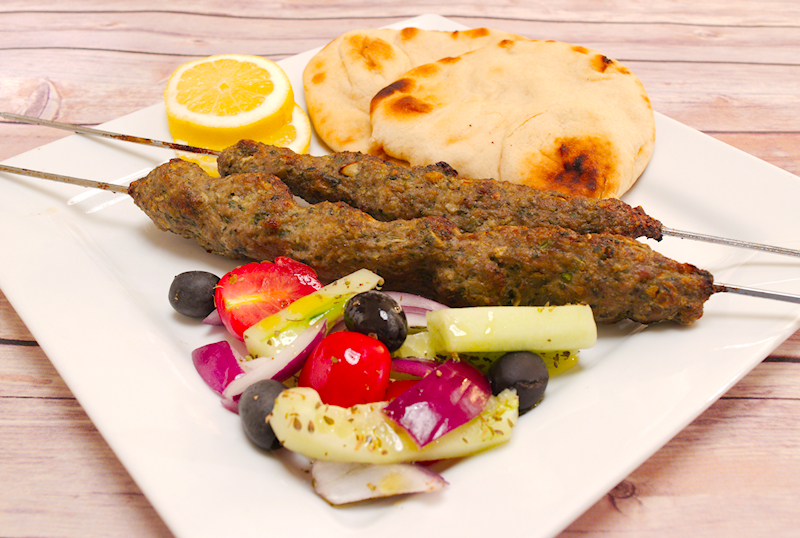 Lamb kofta kabobs in the oven are easy to make. Just mix all of the ingredients, make the kofta shape with the skewers, cook and voila! 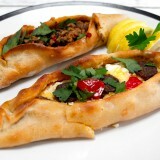 Make sure you enjoy them with nice pita bread and tzatziki sauce. 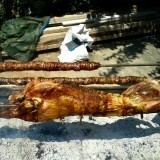 500 gr (17 oz) mince lamb. A small bunch of fresh mint. 1 ½ teaspoon of ground cumin. 1 teaspoon of ground pepper. 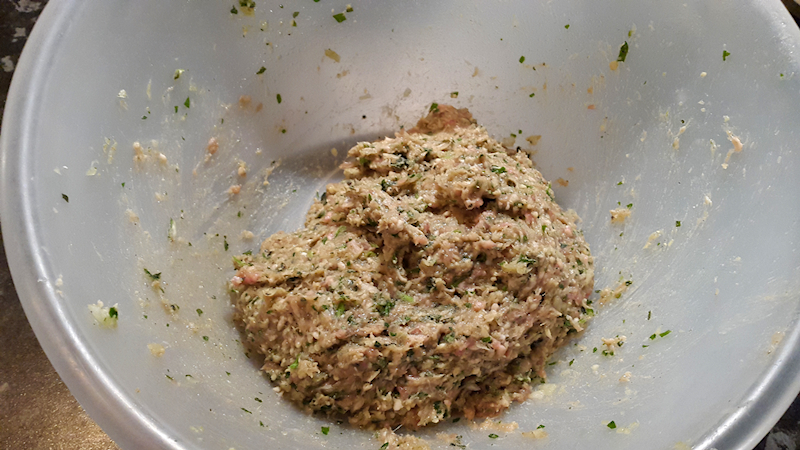 Add the onions, garlic, parsley and mint leaves in a food processor and chop them for a few seconds. You don’t want a paste but rather the ingredients finely chopped. 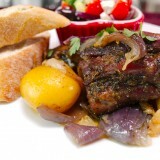 Add the lamb, the contents from the food processor and the rest of the ingredients in a bowl. Knead well for a few minutes. Cover with cling film and let it rest in the fridge for a couple of hours. Preheat the oven at 190 degrees Celsius (375 F). 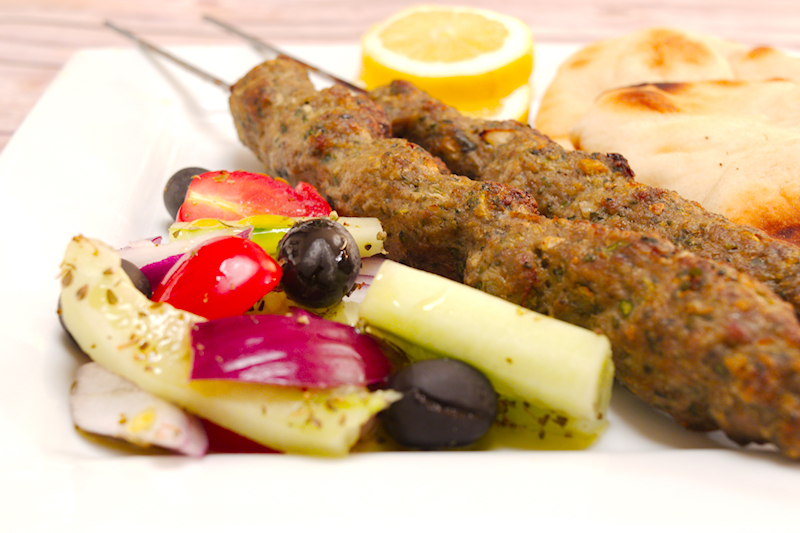 Use a tray that is long enough to deposit the edges of the skewers on its opposite walls. Cover the tray with some aluminium foil. Pour some water in your hands a get some of the meat mixture. Work with it around the skewer to form a long but not very thick sausage-like shape. Place it on top of the tray and do the same with the rest of the meat. Cook in the oven for ~ 30 minutes until your kofte kabobs get a nice color. You may need to turn them upside down at some point. Enjoy with same warm pitta bread and tzatziki sauce.